Editors note – Apple don’t want to miss out on the emerging 7″ tablet market and are set to release their mini (7“) version, as ever it is shrouded in mystery and probably won’t be called the mini, but if that is the media buzz word for it it makes sense, anyway time will tell, but apple do have a lot of competition in the coming weeks and months…. The Wall Street Journal says that during the fourth quarter of the current fiscal year, Asian suppliers are expected to produce 10 million units which have been dubbed the “iPad mini”, although Apple has not officially revealed the product. If Apple has ordered the production of 10 million units from its component suppliers, it suggests that the iPhone and iPad maker believes there is a strong market demand for a smaller, less expensive tablet — potentially in time for the Christmas rush. It has also been suggested that this is double the order placed for Amazon’s Kindle Fire in the same quarter, according to the same unnamed suppliers. Previous reports stated that production of the new unit has already begun for the smaller tablet, which is thought to be announced this week — although invitations are yet to be issued to the press. In addition, sources have suggested the new mini-tablet will include a 7.85-inch LCD screen, whereas the new iPad boasts a screen of 9.7 inches. 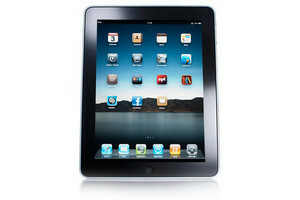 It is expected that the rumored “iPad mini” will have a lower resolution than the Retina display hosted by the iPad 3. Although Apple is one of the largest technology firms in the world, its market share has slipped due to the rising popularity of Android smartphones and tablets. According to research firm iSuppli, Apple’s slice of the tablet market in Q2 was 69.6 percent. In comparison, it was 84 percent in 2010. Rival firm Samsung claims the second largest share in the second quarter with 9.2 percent. If the iPad mini rumors are true, it will face stiff competition from rivals including Amazon’s $199 Kindle Fire and Google’s $199 Nexus 7 tablet. Apple-branded products are generally more expensive than others in the smartphone and tablet market, but if the smaller alternative to the iPad 3 is competitively priced, it may help the Cupertino-based firm claw back some of its lost market share.